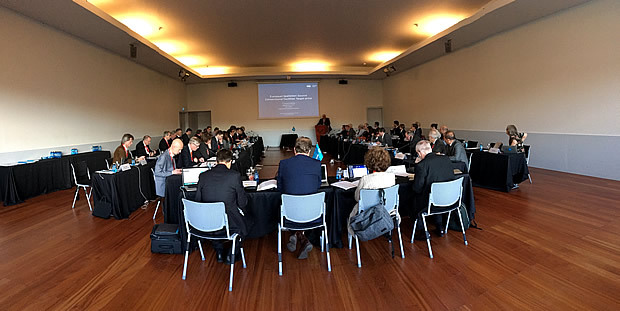 The European Spallation Source ERIC Council, the project’s governing body, held their 7th meeting last month in Bilbao, Spain. A number of key forward-looking decisions were settled that set the stage for what promises to be the busiest year of the project to date. BILBAO—The European Spallation Source ERIC (ESS) Council settled a number of key forward-looking decisions last month, setting the stage for 2017, which promises to be the busiest year of the project to date. The project’s governing body met December 5-6 in Bilbao, Spain, home to ESS in-kind partner ESS-Bilbao. Over the past year, instrument design has advanced rapidly, with scope-setting, engineering, and the establishment of each instrument’s budget and schedule. Science Director Andreas Schreyer proposed a construction plan for the first 15 instruments. The Council approved the proposal, which establishes the main part of the suite of world-leading instruments that will come on line at ESS between 2021 and 2026. Council also approved the construction order, defining the first eight to be brought into service as LoKI, ESTIA, DREAM, MAGiC, BEER, ODIN, C-SPEC and BIFROST. These instruments span a wide range of research capabilities from atomic- to large-scale structure determination, imaging of materials, materials engineering, magnetic and molecular dynamics, and thin films properties. Another important step to keep the project on track in 2017 was the signing and approval of €172 million worth of in-kind contracts. Council approved 38 agreements in this round from the Czech Republic, Estonia, France, Hungary, Italy, Norway and Poland, setting in motion work packages covering technical components for the Accelerator, Target and control systems, as well as instrument construction. This decision brings the total value of active in-kind work packages to nearly €200 million, and firmly establishes ESS’s in-kind model for the construction of key technical components for the project. The Council authorised Director General John Womersley to sign an agreed target price with Skanska for construction of the remainder of the ESS Conventional Facilities. The agreement includes possible cost-saving options to stay within the agreed budget while ensuring the long-term capabilities of ESS are maintained. 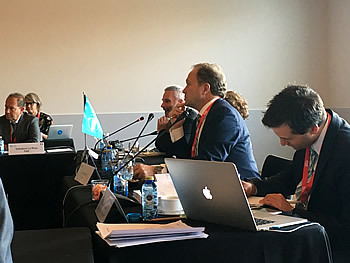 The next ESS Council meeting will take place February 9 in Lund.